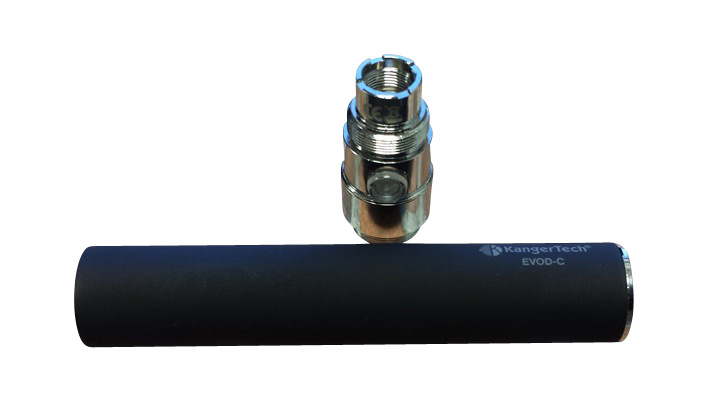 The 900mAh battery requires the Kangertech EVOD-C control head to function. As long as the battery and control unit is screwed together, the button will shine three times and the battery is turned on. Compatible with eGo series atomizer/cartomizer.